Having a fun night at the movies can become quite expensive. This is especially when you consider the rising costs of concession snacks, drinks and movie tickets. By finding deals on free or cheap movie tickets, you can save a lot of money while still having a great time at the theater. Your community may host several “free movie” events throughout the year – especially during the spring and summer months. In most cases, these are family-friendly movies that are specifically chosen to create family-friendly events within the community. However, there are other events that may be tailored for couples who love romantic comedies and other “movie in the park” themes. Either way, you can save a considerable amount of money when making your date night plans by taking advantage of these free movie moments. If you are planning a romantic date night, this will help you to break the monotony of going to the same theaters and buying the same snacks. A lot of theaters offer special programs for children during the summer months when they are out of school that allow them to see family-friendly movies at discounted prices. If you want cheap movie tickets for family films, this would be the type of program you want to consider carefully. In most cases, the programs are designed as multi-week packages that require parents to pay for all the movies and weeks included regardless of whether they can make it to the movie. Even if you are not able to make it each week, you can still save a lot of money by calculating the low-ticket price of each movie you do see. For more ideas on how to save money even as you spend it, check out this article. If you plan a party or want to reserve movie tickets for a large group, take advantage of any bulk pricing offered by the selected theater. Most major theater chains provide substantial discounts for groups that purchase blocks of movie tickets. Whether you are planning a family reunion or an office get-together, you can save a lot of money by setting up a private event or purchasing group tickets from your favorite theater. It is best to buy your bulk tickets as far in advance as possible – especially if you already have the dates in mind and know which movie your group wants to see. Another way to find cheap movie tickets is to search for free movie screenings and sneak previews. You can check out such websites as Gofobo to find exclusive sneak previews and movie screenings in your area. If you sign up for their mailing list, you may be invited to advance movie screenings scheduled at local theaters near you throughout the year. Keep in mind that free movie screenings and sneak previews are offered to massive crowds of fans and moviegoers on a “first come, first serve” basis. In most cases, reserved seating is not available at these free movie screenings. Plan to get to the theater at least 1-2 hours before showtime if you want to get a good seat (if you can get a seat at all). It may seem ridiculous, but a simple keyword search can point you in the right direction. You can search for such phrases as “cheap movie tickets near me” to gain access to an extensive list of competitively-priced options. This will help you to shop around – specifically, if you are concerned about one theater’s pricing over another. Coupon-clipping may seem old-fashioned, but frugal shoppers and coupon lovers know the exact opposite is the case. From the inserts that come in the mailbox to the pages of entertainment coupon books, there are more than enough savings opportunities to use throughout the year. The key is to clip and save the coupons whenever they emerge. Use them strategically along with other savings opportunities to make the most of your purchase. You may already have a favorite theater that you enjoy visiting more than any other local theater. If so, you can find cheap movie tickets by joining the theater’s mailing list. In most cases, you just need to submit your email address and basic contact information to receive details on how to find cheap movie tickets. Take full advantage of any website or mailing list that requests your birthdate or asks you to complete a survey. Chances are that they will send you a coupon for free concessions and/or cheap tickets on your special day each year. Click here to see how to make money with the 2 best paid survey sites this year! If you enjoy frequently visiting the movie theater, then perhaps a movie ticket subscription service is another great idea for you to consider. You can see a select number of movies at the theater week after week for a competitively-priced monthly fee. For instance, AMC Theatres offers the AMC Stubs A-List program that allows you to make up to 3 movie reservations each week. Another option is MoviePass, which offers three different packages with similar benefits. The subscription service only providers tickets to the subscriber. This means you still must pay for any non-subscribers who accompany you to the theater. However, you will still save a lot of money by removing your ticket price from the equation – especially if you enjoy going to the movies each week. If you are interested in saving even more money on cheap movie tickets, you should sign up for loyalty programs offered by theater chains. Some are referred to as loyalty programs; others are classified as rewards programs. However, they all work the same. You just keep buying tickets from the box office and goodies from the concession stand. As you do, you will accrue reward/loyalty points through this type of program. Once you have reached certain tiers, you will qualify for cashback credits, rewards, promotional discounts and other incentives. Learn the ins and outs of your loyalty program to skillfully maximize the benefit of each ticket or concession stand purchase accordingly. If you forget to present your loyalty or reward card when purchasing your tickets, save your ticket stubs and receipt. You should be able to get a retroactive credit applied to your account by presenting your tickets either at the theater or through the chain’s online support channel. You may already be a member of a program that offers discounts and promotions for your favorite theater. Costco customers and AAA members frequently receive specials, promotional deals and other incentives just for keeping their memberships active. Examine your current list of subscriptions and annual memberships. You might be entitled to rewards, incentives or deals for cheap movie tickets that you previously overlooked. In addition to your membership programs, do not forget to examine your credit card incentives and accrued reward points. You may be able to cash those points in to receive discounts and promotional offers from your favorite movie theater. Scan through the pages of your rewards catalog to see what you either qualify for now or could possibly qualify for in the future with a few more purchases. Strategy and skill are required in this regard as well when it comes to capitalizing on your savings opportunities. Pay attention to how many points you already have and how many are needed to get to the next highest rewards bracket. There is a growing number of cashback sites, such as Ebates, that will provide you a cashback credit for each purchase. Since these websites receive commissions each time a purchase is made via their website, they can share a portion of that commission with you as payment. With Ebates, for instance, you can get up to 40% cash back at over 2,500 stores and venues, including movie theaters. When you calculate the amount that you spent along with the amount you made back, cashback websites are great tools if you want to get cheap movie tickets. Click here to find out more about the top cash back sites that you should bookmark right away! More and more movies are being released in 3D or IMAX formats. However, this does not necessarily mean you must see every single movie in these premium formats. You will always pay more money for IMAX and 3D than for standard and digital formats. If you want to get cheap movie tickets, you should always keep that in mind. It is true that IMAX and 3D formats add to the cinematic experience of big-budget blockbuster films. However, you will burn through a lot of money by opting to select this format for all your movie tickets. For instance, there is no need to see most family films or romantic comedies in IMAX or 3D. Therefore, it is important to exercise caution when deciding which movie tickets to upgrade and which to leave as-is. Another clever way to buy cheap movie tickets from the theater is to go to the movies during the week instead of just waiting for the weekend. Movie ticket prices reach their peak each weekend – especially during the summer and holiday seasons. These are the times when most blockbuster movies are released in theaters, which explains why theaters are eager to capitalize on the traffic by spiking ticket prices. During the week, the rate of traffic to movie theaters is much lower and slower than on the weekend. 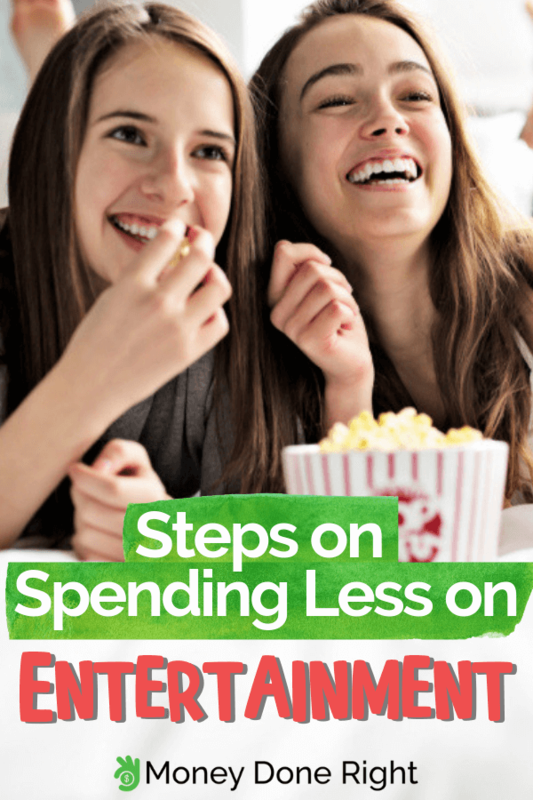 This creates a major savings opportunity for moviegoers! Certain theaters offer low ticket prices on certain days of the week. For instance, AMC Theatres offers $5 Ticket Tuesdays which offers any standard/digital movie for $5. This means that moviegoers can see new releases for a fraction of the cost by just waiting a few days after its weekend debut. In addition to selecting the most affordable day to watch the movie, pay attention to the time of day if you want to get cheap movie tickets. When using a cheap movie ticket app, for instance, you may notice that prices are much lower before lunch. Studies have shown that early morning/afternoon showtimes have the highest number of empty seats. It is not surprising that movie theaters are willing to offer low ticket prices just to fill those seats. There are some theaters – such as Cinemark – that have “early bird” programs enforced to fill those seats and save “early bird” customers a lot of money. You may already qualify for certain discounts that have nothing to do with memberships, subscriptions, or loyalty programs. For instance, active and retired military members can receive discounted movie tickets by presenting their identification cards. In addition, senior citizens and students also qualify for ticket discounts by showing the appropriate documentation when requested. It may seem as if the per-ticket savings are minimal when these types of discounts are used. However, when you do the math, the savings will quickly add up more than you may realize. Theaters known for low ticket prices may not get new releases at the same time as major movie theater chains. However, they will eventually get them. If you are interested in finding cheap movie tickets, you can also wait for newer releases to make their way into low-price theaters. It is true that you will miss out on the initial buzz when the movie is first released. Despite that disadvantage, though, you would still be able to save a lot of money on movie tickets by doing so. What are some of your favorite tips for getting cheap movie tickets? We’d love to hear your thoughts so fel free to leave a comment below!